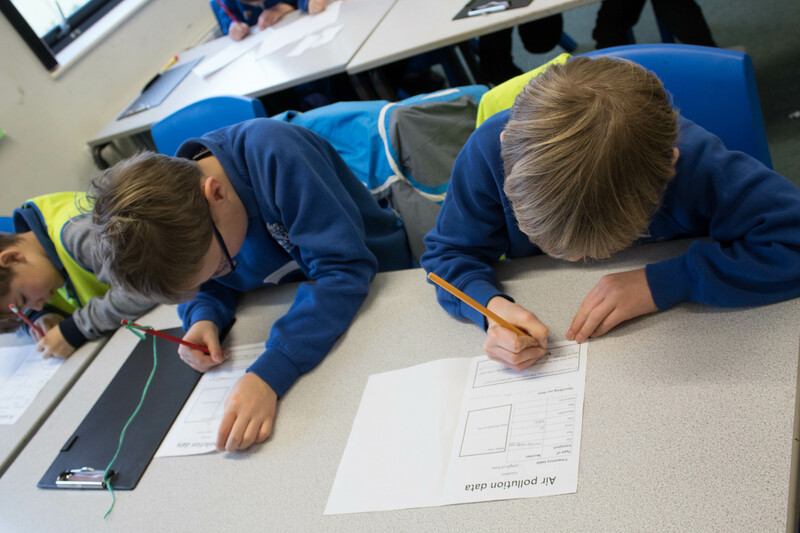 Researchers from the ClairCity project at the University of West England have designed a set of free activities for children ages 8-11 to learn about the impacts and sources of Bristol’s air pollution problem, and explore potential solutions. You can download the materials, that are easily adaptable for older or younger children, here. ClairCity is a project that enables people from cities across Europe to decide the best local options for a future with clean air and lower carbon emissions. And they took their fun-packed “air pollution solution” activities into Orchard School in January. 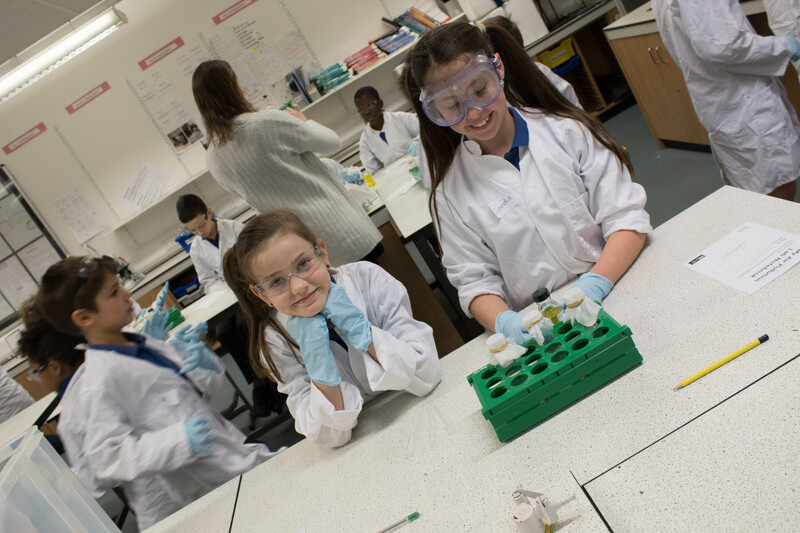 90, 9-10 year olds turned up from Upper Horfield Community School and Horfield CE Primary School, to do their own tests on diffusion tubes and observe particulate matter with microscopes. They collected traffic data, thought about their own journeys to school and came up with solutions to reduce air pollution in Bristol. After finding out all about air pollution, the pupils then wrote their own letters to local politicians to explain what they had learnt about air pollution in Bristol, and their suggestions for how they thought the city and region should address the problem and make a healthier, happier city. The children have now had three responses from local politicians included the Mayor, Marvin Rees. Find out about the politicians’ responses. Huge thanks to Emily Prestwood and Laura Fogg Rogers from UWE Bristol, Helen Howard and excellent student assistants from Orchard School, the teachers, assistants and volunteers from Year 5 Upper Horfield Community School and Horfield CE Primary School, and especially to all of the year 5 pupils from both schools who put so much effort into making the day a success. The event was made possible through additional funding from the University of the West of England. Previous Conference Registration is Live!